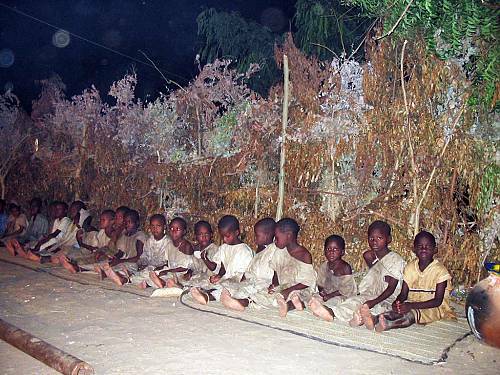 The Kankurang is an initiatory rite practised throughout the Manding provinces of Senegal and Gambia, mainly corresponding to the Casamance, and in the city of Mbour. 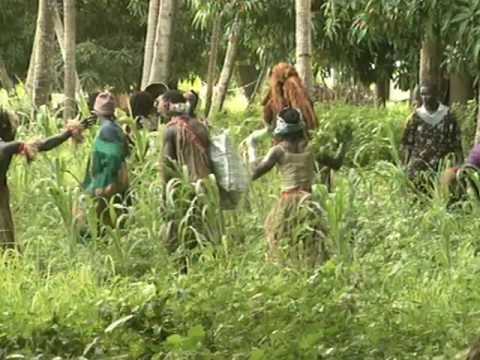 According to tradition, the origin of the Kankurang is to be found in the Komo, a secret society of hunters whose organization and esoteric practices contributed to the emergence of the Manding. 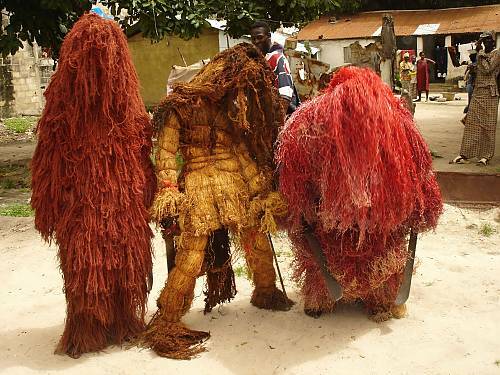 The central character in the Kankurang, is an initiate who wears a mask made of the bark and red fibre of the faara tree and is clothed in leaves, his body painted with vegetable dyes. 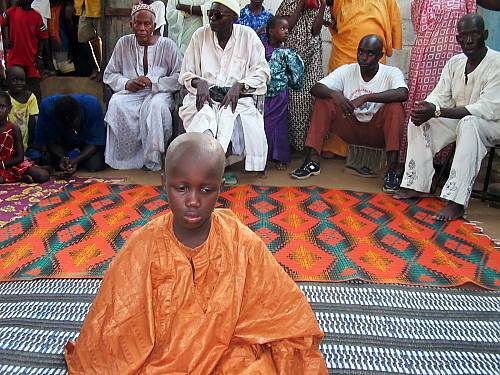 He is associated with circumcision ceremonies and initiatory rites. His appearance is marked by several ritual stages: the designation of the initiate who will wear the mask and his investiture by the elders, his retreat into the woods with the initiates, the vigils and processions through the hamlet of the new initiates. The whole ritual generally takes place between August and September. 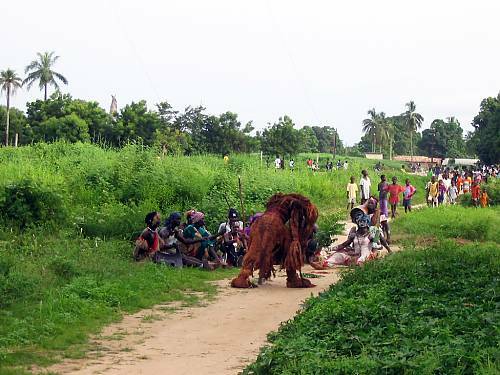 The Kankurang always parades surrounded by former initiates and the villagers who respectfully follow his behaviour and gestures, and perform dances and songs. His displays are punctuated with a staccato dance as he wields two machetes and utters piercing cries. 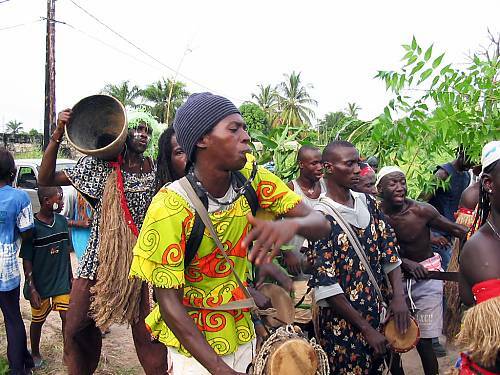 His followers, armed with sticks and rhun palm leaves, beat out the rhythm with their choruses and tom-toms. The Kankurang is the guarantor of order and justice as well as the exorcist of evil spirits. As such, he ensures transmission and teaching of a complex collection of know-how and practices underpinning Manding cultural identity. 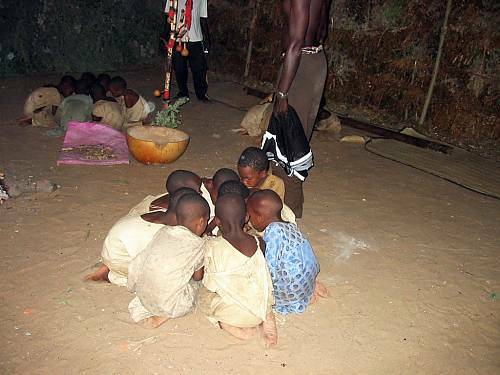 A ritual that has spread to other communities and groups of the area, it is the occasion for young circumcised boys to learn the rules of behaviour for the ordering their community, the secrets of plants and their medicinal values, and hunting techniques. 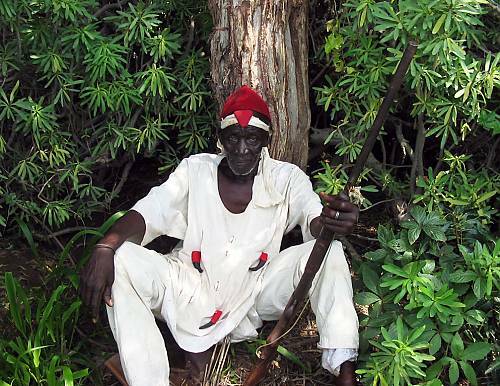 Their traditional practice is in retreat because of the rapid urbanization of most regions of Senegal and Gambia and the decreasing extent of sacred forests, which are transformed into cultivated land. As a result, the ritual is trivialized and the Kankurang authority is undermined.